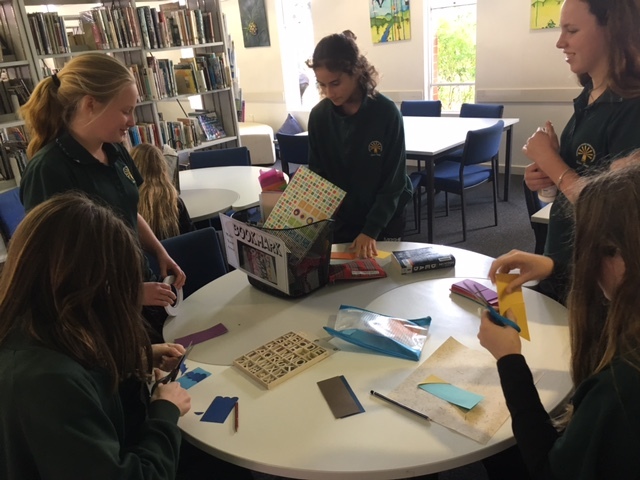 The Library Resource Centre at Margaret River SHS is here to help students with research, reading, study skills and the use of technology. 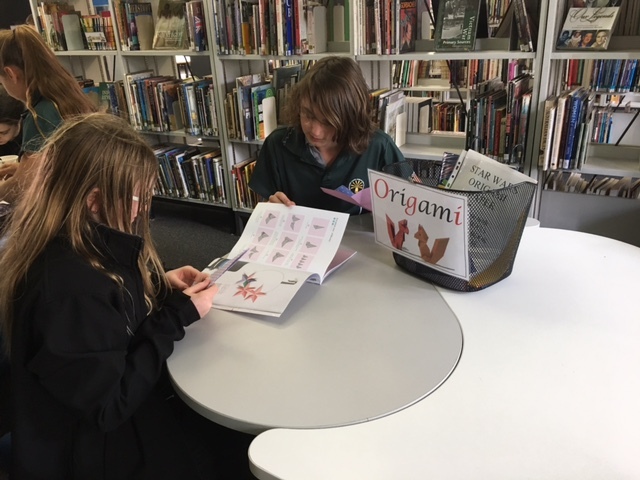 Teachers are available to assist students with electronic and print-based information gathering for assignments, recreational reading and ICT use. Staff are available to configure BYOD devices such as tablets and computers to connect to the school network and assist with their use of technology. The library offers innovative programmes such as Maker Space, Coding, 3D Printing and more! Our world is becoming increasingly networked and connected and we are more reliant on current and emerging technology. 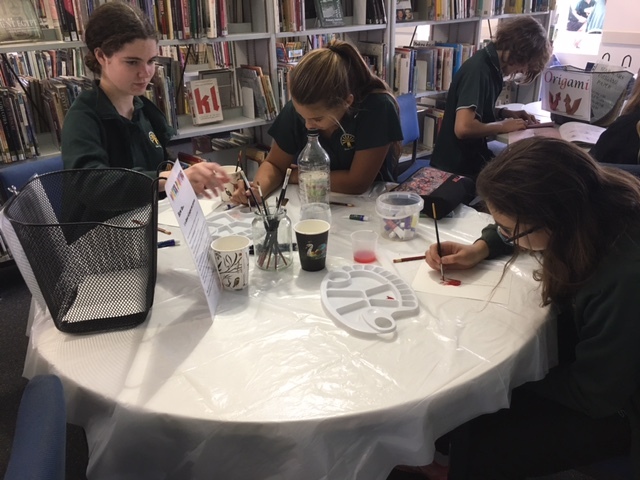 Our Library Resource Centre aims to help students navigate through the diverse array of information and tools, and then to use them in focused and creative ways. It also plays an integral role in helping students to develop their capacity to locate, evaluate, and apply information. 19th of September was international “Talk like a Pirate” Day..!!. 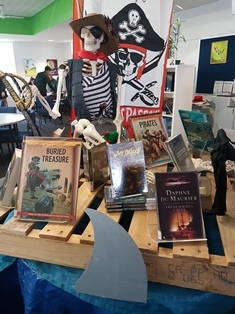 Ahoy Me Hearties, September be Pirate month in the Library. 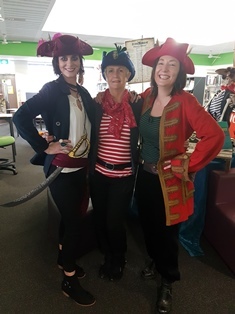 With all hands on deck Cap’n Petra Kookypants, with First Mate Judi Toots and Pirate Kristy PartyPooper, have transformed the library into Davy Jone’s Locker. With pirate puzzles galore an mutineers walking the plank, much laughin’ was had by all. We hope all our crew enjoyed themselves and learned a little bit more about Pirates. 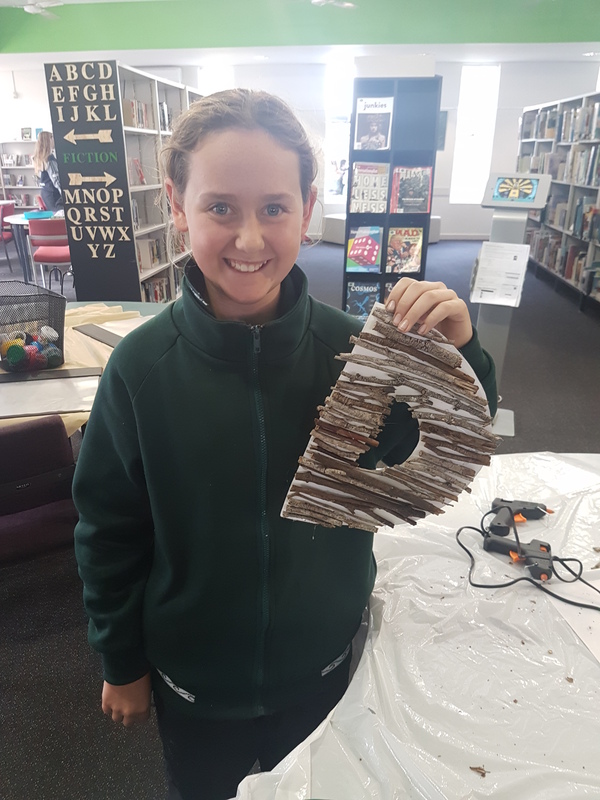 Students have been busily creating and making an assortment of art, craft and computing – limited only by their imaginations.